Zapien’s Salsa Grill & Taqueria executive chef and co-owner, Marco Zapien will be an on-air guest on the SoCal Restaurant Show with Andrew Harris Saturday, Nov. 26. Zapien will be live at 10:30 a.m. talking about the restaurant, its history, and the restaurant’s recent makeover. The Salsa Grill was closed for almost two weeks in October and conducted a complete makeover to give guests a better dinning experience. The SoCal Restaurant Show airs every Saturday from 10 a.m. to noon on AM 830 Angels Radio. Remember to tune in just before 11 a.m. to listen to Chef MZ. After closing for almost two weeks for renovations, The Salsa Grill quickly made its way back into the rhythm of serving the finest Mexican cuisine, hand made Tortillas, table side Guacamole and amazing Micheladas. Although the restaurant is back into the swing of things, there’s still plenty of time to celebrate. Executive Chef Marco Zapien and staff will celebrate their complete makeover with everyone on Saturday, Nov. 5 from open to close with some special fun. The festivities will include all day Happy Hour, random raffles throughout the day for gift cards and special prizes and live music. 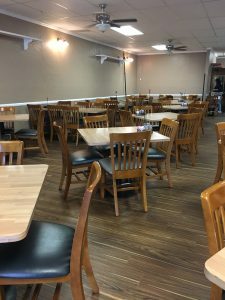 Upgrades to the restaurant include new floors and base boards, a complete bathroom remodel, fresh paint, upgraded ceiling fans and new restaurant furniture. For almost 23 years The Salsa Grill has been serving the finest Mexican cuisine to the Pico Rivera community and beyond. Chef Zapien and family run the restaurant, known for dishes like Mole Enchiladas, Pozole, Menudo, Chile Verde and Chile Colorado. 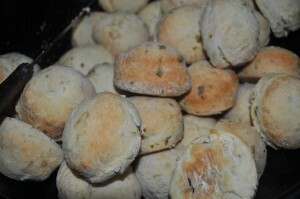 Some of the recipes were passed down by Zapien’s grandmother. Join The Salsa Grill Saturday for some fun, and enjoy the remodel. The Salsa Grill is open Saturday, Nov. 5 from 7 a.m. to 9 p.m.
On Wednesday, Sept. 28 at 9 a.m. the California High School Culinary Arts Academy will name one of their program “kitchens” after Chef Marco Zapien during a special ceremony at the school. 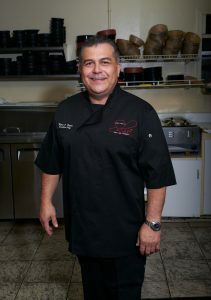 Chef Marco, owner and executive chef at Zapien’s Salsa Grill & Taqueria in Pico Rivera, has been an active volunteer and donor to the program for over five years. Twice a year he attends a culinary career day where he brings enough samples of the items he demonstrates for the entire program to try. Additionally, Marco has been a guest speaker at other student career related events and regularly donates supplies. Cal High’s Culinary Arts Academy divides students into smaller individual groups or “kitchens” for more hands on experience and an interactive learning environment. A few other famous chefs which these kitchens are named after include, Julia Childs, Duff Goldman and Bobby Flay. Soon Marco Zapien will be added to the list. Zapien’s Salsa Grill & Taqueria, also known as The Salsa Grill is a family business. 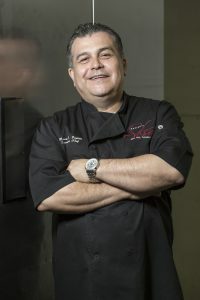 Chef Marco runs the establishment with the help of his dad, Jess Zapien and several family members play a key role in the day-to-day operations. Chef Marco also founded Black Tie & Blue Jeans Catering, which offers several menu options for weddings and other special events. For the sixth straight year, Chef Marco Zapien is hosting a Hatch Chile interactive cooking demonstration, Hatch Chile roast and Hatch Chile brunch. Every summer, New Mexican Hatch Chiles are ripe enough to enjoy and Chef MZ is making a late summer celebration out of it. The cooking demo on Wednesday, Sept. 7 from 6 -8 p.m. is where participants will learn how to make items such as Kool Cabbage and Seafood Salad Tacos topped with Hatch Chile Sauce, Hatch Chile Marinated Chicken, Hatch Chile Baby Back Ribs and much more. Recipes for seven different Hatch Chile dishes, including dessert, will be demonstrated and then served for all to enjoy. 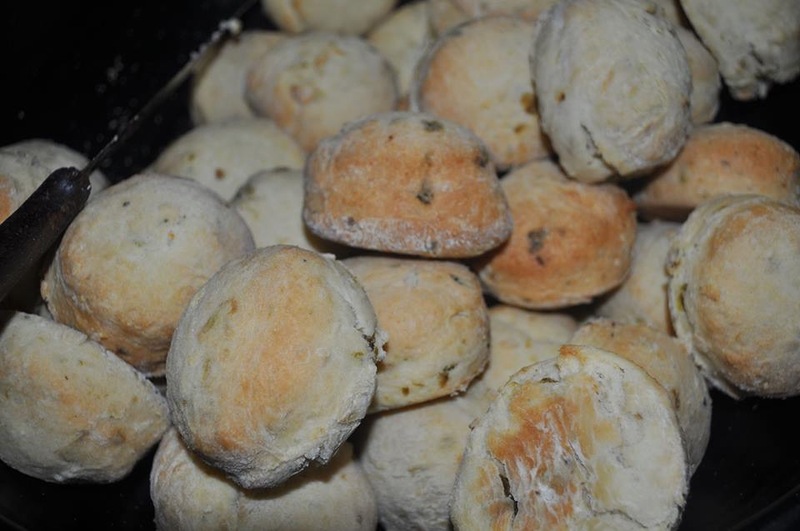 Class goers will take home recipes and step-by-step directions. The cost is $45 per person, click here to view menu, and here to reserve your spot. The parking lot in front of the restaurant will be filled with roasters and cases of chiles on Saturday, Sept. 17 beginning at 8 a.m. The Salsa Grill has worked closely with Melissa’s Produce to ensure the most flavorful peppers for the roast, cooking demo and brunch. Reserve your cases of Hatch Chiles here. Chef MZ’s Hatch Chile brunch is also on Saturday, Sept. 17 from 9 a.m. – 2 p.m., and includes a complete Hatch Chile inspired menu. Some decadent brunch items include Hatch Chile Picadillo, Hatch Chile Mac N Chees and Tacos de papa con Hatch Chile. The cost is $21 per person and $10 for children 12 and under. Each adult brunch includes Champagne and Mimosas. Hatch Chile lovers can pre-order their $40 case and select their preferred level of hotness: mild, medium, hot, or very hot. Class participants should also sign-up before it’s full. Interested participants can register here or can call the restaurant at 562-942.7072. On Friday, July 15 beginning at 6 p.m., foodies will enjoy the tastes of culinary greats, including Zapien’s Chicharron Verde Tostada served with pickled, red onion slaw and topped with queso fresco. Other restaurants and wineries – primarily Los Angeles’ top Mexican eateries and Latino-owned or operated Napa area wineries – will sample bites and sips at the event’s new venue, the California Plaza. The event serves as a fundraiser for AltaMed Heatlh Services, and for $225 guests will enjoy all-you-can eat and drink, and some live entertainment. Wine tasting will extend beyond Napa. This year’s theme, “World Tour,” means wine varietals from many international wine regions will be showcased by vinters. The California Plaza is located at 350 S. Grand Avenue in Downtown LA. Since 2007 this annual fundraiser had been held at Union Station, but after growing to almost 2,000 partygoers, a larger venue was in store. For more event information, please visit http://www.altamed.org/eastlameetsnapa. Zapien’s Salsa Grill & Taqueria is running its first-ever social media photo contest, now through Sunday, October 11, at 8 p.m. 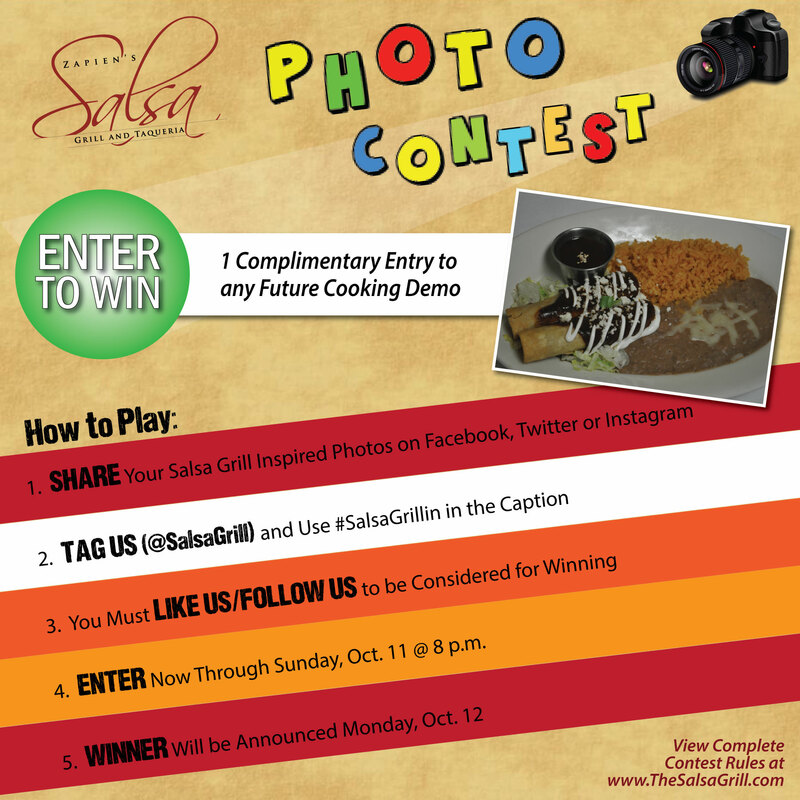 The contest encourages Salsa Grill diners to take photos of their experience in the restaurant or on the go – be creative — and post to Instagram, Facebook or Twitter using #SalsaGrillin in the caption for a chance to win a free entry to one of Chef Marco Zapien’s upcoming interactive cooking demonstrations. Entries must also tag The Salsa Grill in their post; multiple entries across multiple social media platforms will not be considered. Chef Zapien and staff will choose two winning photos to be announced Monday, October 12. Winners can redeem their complimentary seat at either the Oktoberfest or holiday demo. 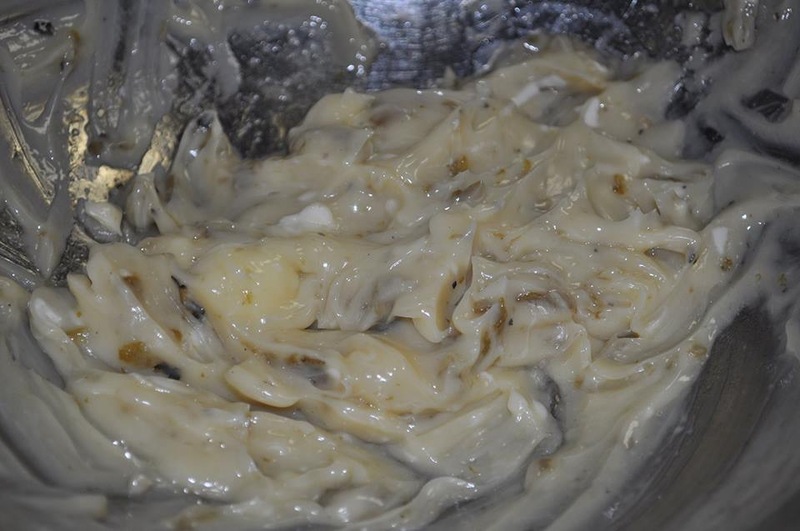 The last cooking class — the annual Hatch Chile show – attracted 60 class participants who were able to learn eight Hatch Chile recipes, including soup, salad main entrees and dessert. Class entry includes a full list of recipes demonstrated by Chef MZ over two-hours from prep to cook time, all-you-can eat of each item demonstrated, raffle prizes and a 2 for 1 card to enjoy regular dining at the restaurant. 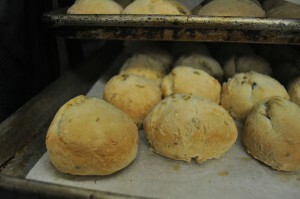 In 2010, Chef Zapien began hosting cooking demos and featuring items off his menu. As the popularity grew, people requested other items such as Ribs, Turkey during the holidays and chili beans. The Oktoberfest cooking demo is scheduled for Wednesday, October 14 at 6 p.m.
For more info and full contest rules visit www.thesalsagrill.com/share-your-love-for-salsa-photo-contest.